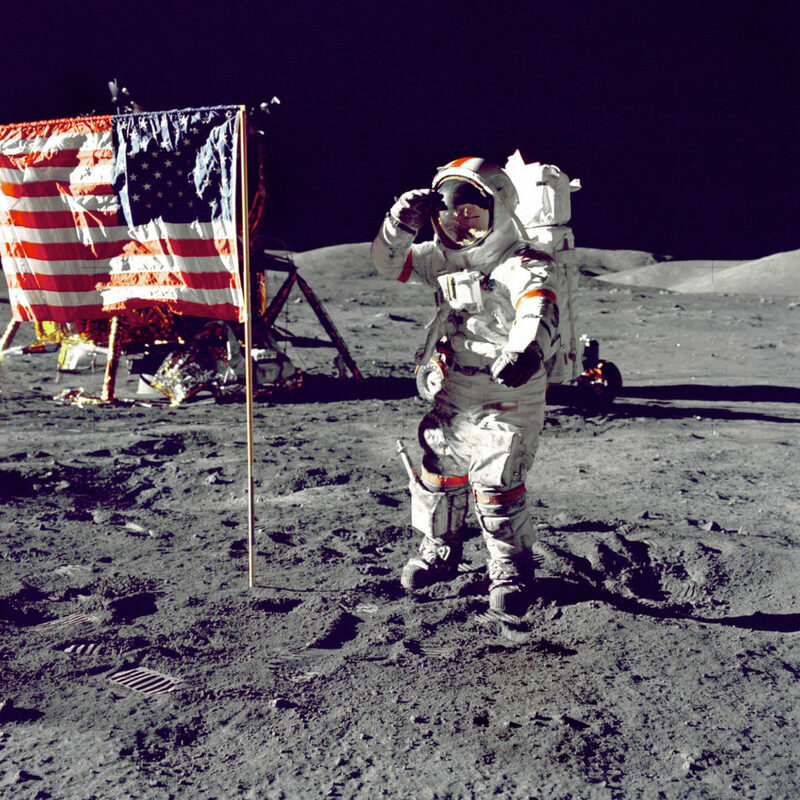 Eugene A. Cernan, Commander, Apollo 17, salutes the flag on the lunar surface during extravehicular activity (EVA) on NASA’s final lunar landing mission. The Lunar Module “Challenger” is in the left background behind the flag and the Lunar Roving Vehicle (LRV) also in background behind him. While astronauts Cernan and Schmitt descended in the Challenger to explore the Taurus-Littrow region of the Moon, astronaut Ronald E. Evans, Command Module pilot, remained with the Command/Service Module (CSM) “America” in lunar-orbit.